Disclosure: I was invited on a sponsored trip to view the Wild Blueberry barrens in Maine. I was not compensated for my time nor asked to write this post. I just wanted to share my new found Wild Blueberry love with my favorite friends, that’s you! Ever had a Nothing bundt Cake? You know, the bakery chain that sells those delicious and perfectly frosted mini, regular and stacked bundt cake delights! Well, if you haven’t, don’t fret my friends. Today I’m showing you how you can create those magical beauties in the comfort of your own home in just a few steps. Alright, first things first, I want to make sure you know this is not your ordinary blueberry bundt cake! 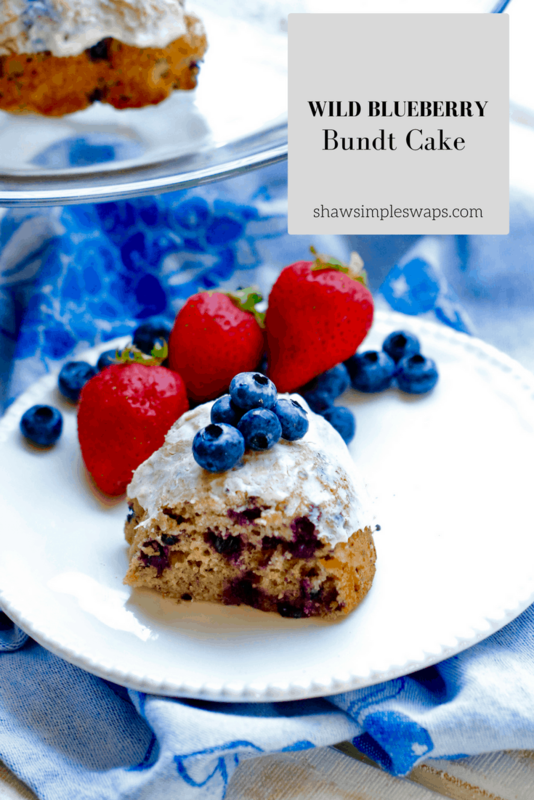 Because it’s a Wild Blueberry Bundt Cake of course! 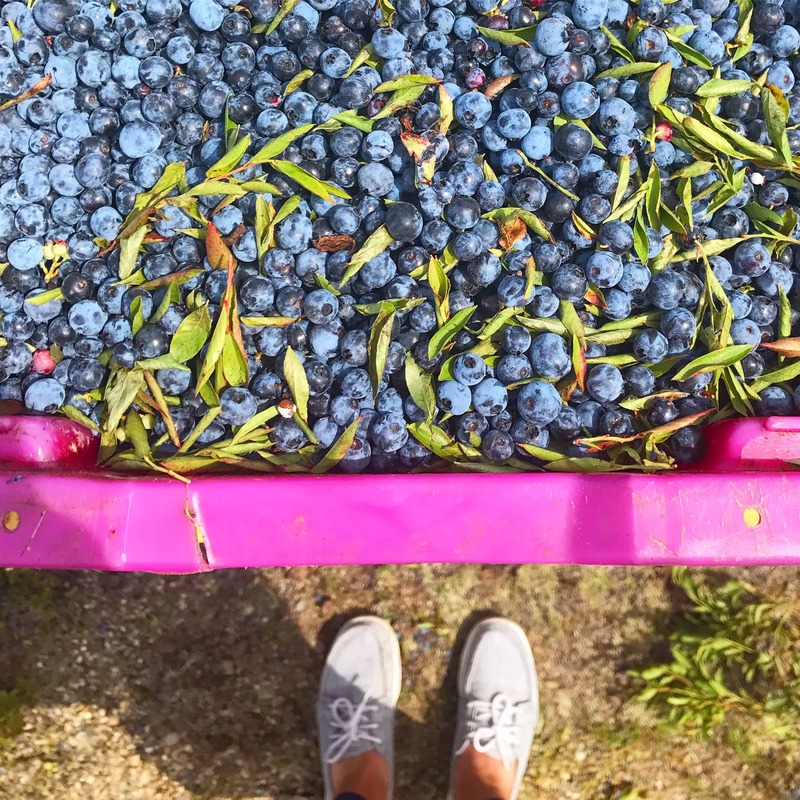 DYK there’s actually a difference between a blueberry you’d find fresh in most traditional markets and fresh frozen wild blueberries? Yep, case and point, not all “berries” are created equal, they even have their own personalities! They contain twice the antioxidant capacity of traditional blueberries on the market. They’re half the size of most blueberries, but, they pack a mighty punch! In most markets (unless if you live in Maine, of course!) you’ll find them in the freezer section labeled as “Wild Blueberries”. Since they’re grown in their natural habitat in Maine and Canada, they won’t make it out West in tip top shape without being flash frozen. Alright, I could go on and on about these gems, but instead, I’ll let you explore them on your own here! 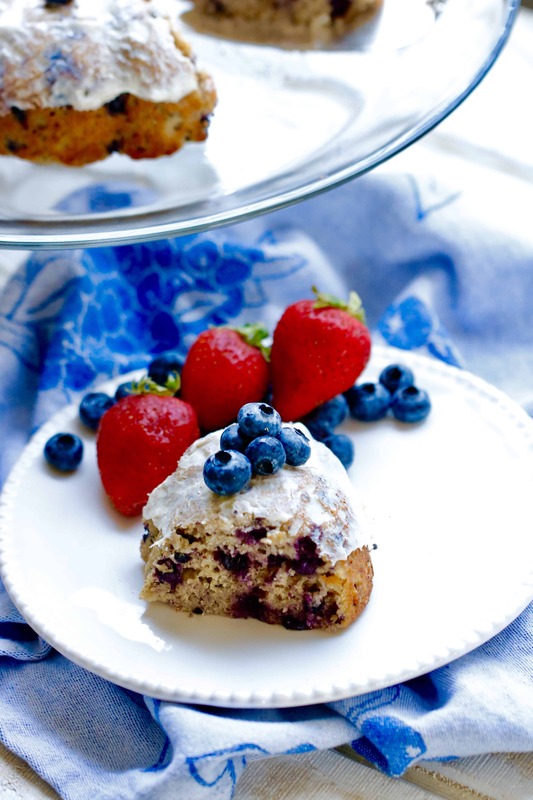 Now, back to this delicious Wild Blueberry Bundt Cake! 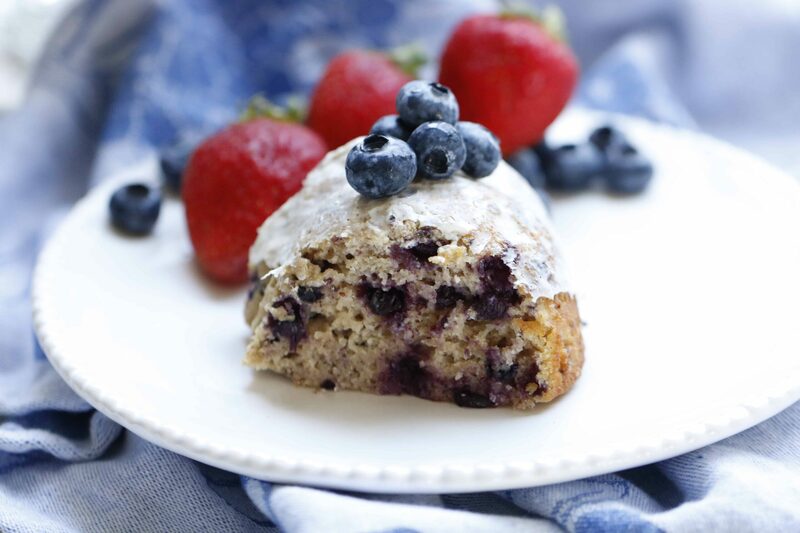 For those who don’t have a heck of a lot of time, you’ll enjoy the #shawkitchen hack I used here… a boxed blueberry muffin mix! In fact, I used the Kodiak Cakes latest whole grain Blueberry Lemon Mix and amped up the nutrition with a cup full of those delicious wild blueberries and a zesty lemon frosting. While I haven’t tried this with other brands, I would recommend using a 14 ounce container of a similar whole grain muffin mix for added nutrition! Turn up that music and get baking (in no time flat) with this super simple, absolutely delicious bundt cake recipe! A fresh, light and delicious treat ready in no time flat! Preheat oven to the 375*F and spray a bundt cake pan with cooking spray. Mix muffin mix and eggs in a large bowl. Add in milk and melted butter, continue to stir. Fold in wild blueberries and pour into bundt cake pan. Set oven timer for 40 minutes and let bake. While baking, make the frosting. Place cream cheese, yogurt, lemon juice, and vanilla extract in a mini bowl. Mix vigorously together for 1 to 2 minutes using a spatula. Add in lemon zest and mix one final time, set aside. When cake is done (usually between 40 to 45 minutes), remove from oven and let cool on a wired rack before taking out of the pan. Frost when cooled and enjoy! Store extra cake in the refrigerator. Consume within 5 days for best taste. Want proof on just how easy this is? Check out the video below! Now, what do you think? Let me know if you’re up to try this below! « No Bake Cheesecake with Fresh Berries – Ready in 10 Minutes Flat! This sounds perfect for the summer!! I love blueberries and pairing it with lemon will be so refreshing! I have been eating blueberries like candy lately! 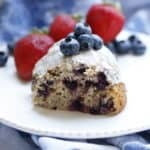 I LOVE that you used a blueberry muffin mix but then made it something extra fun! This looks so delicious, wild blueberries just make the flavor explode! !